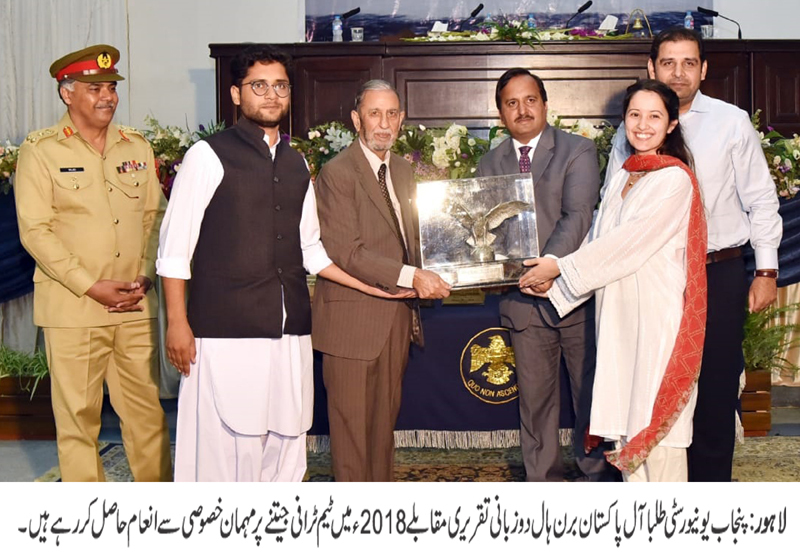 LAHORE: (Friday, September 14, 2018): Punjab University students participated in 22nd All Pakistan Burn Hall Bilingual Declamation Competition 2018 and was declared as best team and got team trophy. The event was organized by Army Burn Hall College for Boys Abbotabad. 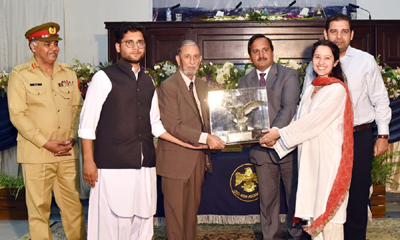 Students including Ahmad Gulzar from Institute of Business Administration clinched first position in Urdu debate while Ms Masooma Fatima from Institute of Applied Psychology obtained second position English debate. The other participating teams were Govt. College University Lahore, Islamia College University Peshawar, Cadet College Hassan Abdal, Cadet College Larkana, HITEC University Taxila, Pakistan Naval Academy Karachi, PMAS Arid Agriculture University Rawalpindi, Military College Jhelum, Military College of Signals Rawalpindi including thirty two teams across Pakistan participated in the competition.